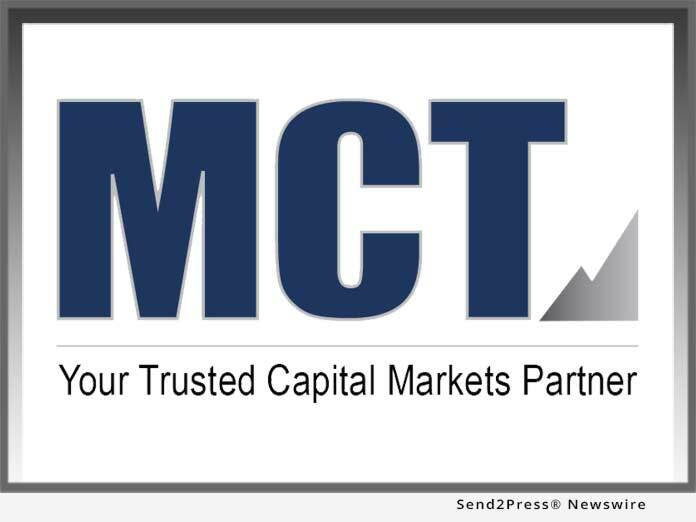 SAN DIEGO, Calif., Oct 05, 2018 (SEND2PRESS NEWSWIRE) — SAN DIEGO, Calif., Oct. 5, 2018 (SEND2PRESS NEWSWIRE) — Mortgage Capital Trading, Inc. (MCT), a leading mortgage hedge advisory and secondary marketing software firm, announced that new investor bid tape assignment-of-trade (AOT) loan sale executions are now available for sellers using its BAM whole loan trading platform. These new executions will benefit from automation of the required Tri-Party Agreement, significantly improving accuracy and efficiency for what is already a game-changing delivery option for the secondary market. After beta testing bid tape AOT with select Wells Fargo sellers early in 2018, MCT rolled out the execution across their award-winning Bid Auction Manager(TM) (BAM) loan sale best execution platform in May. Lenders or investors interested in learning more about bid tape AOT executions are invited to join MCT for a complimentary industry webinar on Thursday, October 11 at 11 a.m. PDT hosted by Phil Rasori, COO. MCT will also be available for in-person meetings and demonstrations at the MBA’s Annual Convention & Expo, held October 14-17, 2018 in Washington, D.C.